Jet Airways was the only Indian airline to operate on routes such as Mumbai-Colombo, Mumbai-Kathmandu and Mumbai-Hong Kong till recently. Services now available to Colombo, Kathmandu, Hong Kong and others. It is pertinent to note that routes such as Mumbai-Colombo, Mumbai-Kathmandu and Mumbai-Hong Kong were sectors on which Jet Airways was the only Indian airline to operate. During the October-December period last year, the Mumbai-Colombo route saw 83,409 passengers travel both ways, over a seat allocation of 28,224 seats by Jet Airways during the three-month period, according to data provided by the Directorate General of Civil Aviation. 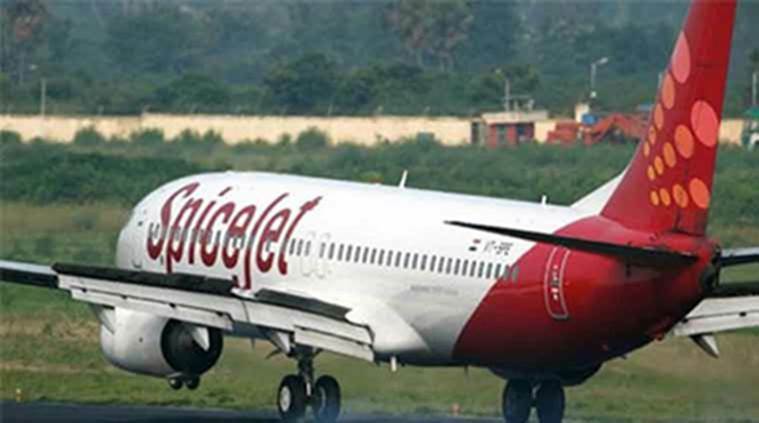 “The airline already operates flights to Colombo from Chennai and Madurai, Dhaka from Kolkata, Dubai from Delhi, Mumbai, Ahmedabad, Pune, Kochi, Kozhikode, Mangalore, Amritsar, Jaipur and Madurai, Hong Kong from Delhi and Jeddah from Hyderabad, besides an upcoming flight from Kozhikode,” SpiceJet said in a release on Monday. Jet Airways, which was India’s biggest international carrier till a few months ago, also gave up its prime slots in London returning them to Abu Dhabi-based Etihad Airways. As a part of its deal in 2013, Etihad and purchased the slots from Jet Airways and leased it back to the Mumbai-based carrier. With Jet struggling to stay afloat, Etihad has repossessed the slots at London’s congested Heathrow airport, where Jet operated flights from Mumbai and Delhi. In the domestic sector, too, airlines such as IndiGo, SpiceJet, AirAsia India and Vistara have announced flights on slots earlier operated by Jet Airways, especially those from the Mumbai airport, which is crunched for capacity. IndiGo announced three new overseas services, including daily non-stop flights to Jeddah and Dammam and Abu Dhabi from Mumbai, while its domestic services are to be launched to cities such as Indore, Kochi and Patna among others. Temporary reallocation of unused slots at airports is something that was done in 2014 as well, when low-cost carrier SpiceJet was nearing a shutdown and cancelled flights across the country. The airline received fund infusion at the end because of which it was able to survive. Industry watchers suggest that IndiGo was the biggest beneficiary of SpiceJet’s vacated slots in 2014. For the Mumbai airport, which is the most congested airport in the country, slots have been unavailable due to lack of infrastructure expansion possibilities of the airport. Analysts have said that a second airport, which is coming up at Navi Mumbai, will be imperative to release the pressure on the existing airport. The last time slots were made available to other airlines on a non-temporary basis was back in 2012 after Kingfisher Airlines folded up.